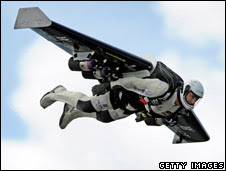 "A Swiss man has become the first person to fly solo across the English Channel using a single jet-propelled wing." Straight up one of the coolest things I have ever seen, how is more not being made of this? This dude is flying!